First, Happy Birthday to my sister. She was born almost midnight on Halloween a long, lonnnng, lonnnnnnnng time ago. 😉 She was actually named Wendy because she was born on Halloween. Mom named her after Wendy the Good Witch on Caspar the Friendly Ghost. Secondly, Happy Halloween! 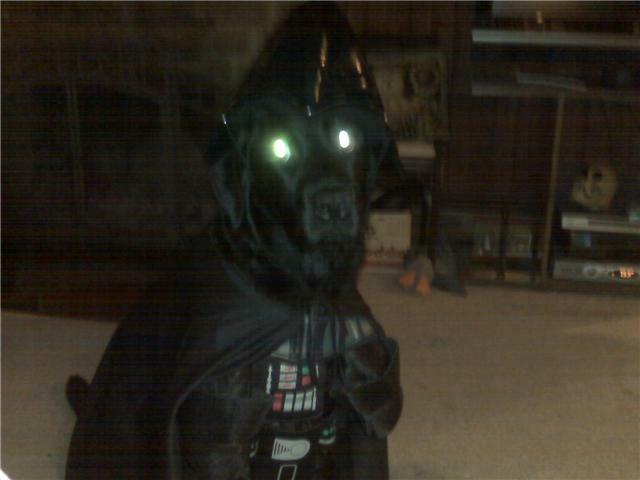 Some of my Facebook friends have already seen this photo and maybe even the video but I thought my blog readers would enjoy this Halloween pic and video of Bax Vader.